Over the past five years, artificial intelligence (AI) has slowly crept into the day-to-day operations of financial and credit companies across the world. In fact, what was once a new and novel technology utilized by the biggest international players has since morphed into an essential component for any forward-thinking financial institution. Want to get to the heart of the matter? 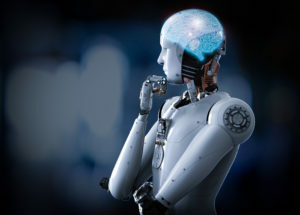 This article will reveal the benefits of AI, while detailing its increasing importance in the ever-evolving financial sector. AI is the simulation of cognitive processes by machines and/or computer systems, with the objective of recreating human reasoning. While this doesn’t mean Terminators and robots that can process emotions (at least not for the time being), it does mean the ability to assess, process, and suggest likely outcomes from a variety of scenarios. Will this allow businesses to predict the future with certainty? No, but it does allow for high-probability results based on the analysis of a range of data sets. But it doesn’t stop there; AI also means the ability for evaluative thought. Want an everyday example? Look no further than the voice-to-text feature on your smartphone; it is quite literally figuring out what you are saying and writing it down. Economic forecasting — Consider the following scenario. Two loan applicants with good business credit reports approach an underwriter for a loan. One owns a cocktail bar; the other operates an industrial plant. Two applicants, similar credit history, but entirely different industries. The professional creditor knows that the success of a cocktail bar partly depends on the frivolity of consumer behavior, while industrial operations rely on stable market trends. Yet, despite understanding the respective businesses and how to help make them successful, keeping track of all the variables and tying them together into a likely forecast that reflects up-to-the-minute changes is nearly impossible. AI has the ability to provide lenders with the means to track those factors and adjust them to respond to real-time market trends. Expedited lending — Fully assessing a business’s creditworthiness and financial prospects by hand can take some time. AI performs complex calculations millions of times faster than the human brain, before simulating cognitive reasoning to draw conclusions as to whether to approve an applicant or not. Imagine having an application processed within an hour of the client walking through your door. AI can make that dream into an everyday reality. Differentiating factors — One of the most difficult challenges for credit professionals is evaluating intangible differentiating factors. For example: Four car showrooms may compete in the same market and offer similar products, but each has a unique differentiator. While one specializes in almost-new vehicles at a competitive price point, another may offer extra after-purchase support for its customers. AI has the ability to analyze which factors a consumer is likely to consider and prioritize in the process of purchasing a car, thus evaluating which of the car showrooms is the best to work with. 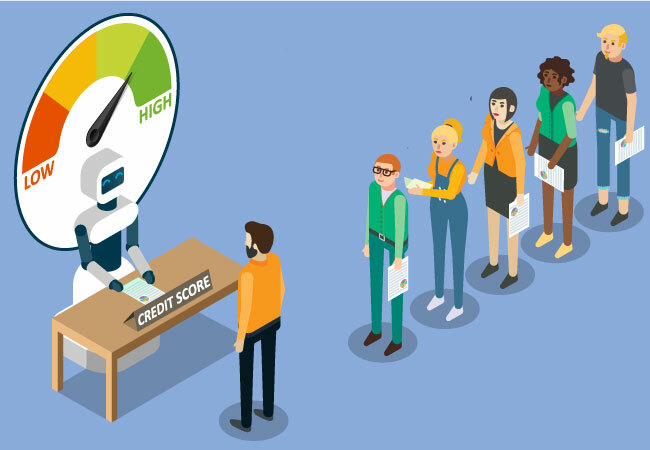 Mountain States Commercial Credit Management (MSCCM) fully utilizes AI. We perform automated credit decision processes through the Decision IQ platform, a service that is also available on mobile devices. Additionally, MSCCM undertakes the automated monitoring of portfolios, which pushes changes to the credit grantor. AI is influential, far-reaching, and here to stay. The technology is also one of the greatest time-saving tools on the market, as well as a surefire way to avoid human error in highly complex data processing tasks. The time to adopt AI is now; soon it will be as commonplace as email. Want to discuss how AI can be tailored to support your business needs? Mountain States Commercial Credit Management is a member of the Commercial Collection Agencies of America (CCAA) and International Association of Commercial Collectors (IACC), and our team is always available to assist with any questions you might have. Please call us at 800-457-8244 or 303-806-5300, fax us at 303-806-5360, or send a request through our website. This entry was posted on Thursday, February 7th, 2019 at 6:00 am	and is filed under Commercial Credit News. You can follow any responses to this entry through the RSS 2.0 feed. Both comments and pings are currently closed.